RuPaul’s Drag Race premiered in 2009, and last Thursday the show returned on VH1 for its tenth season. It is hard for me to imagine that Drag Race has been around for a decade, but during that time it has made a lasting impression on our society. This show is loved by so many, and is watched by households across the globe. A few days ago, my father called me to ask If I had seen the show as he could not stop watching – Of course, I had seen it, but acted naïve. Bless his heart. For those of you who have not watched, I will give you a crash course. Every season RuPaul selects between 10 – 14 drag queens to compete for the title of America’s Next Drag Superstar. Every episode the queens must complete a mini-challenge, main challenge, and a runway look. The two queens who do the worst in the main challenge must lip-sync against each other to a popular song. During this performance, the queens must impress and entertain the judges so that they are saved from elimination. The show is 90 minutes long with a 30 minute behind the scene episode that fans can find on VH1’s website. They brought out all the stops for this premier including having Christina Aguilera on the show as a guest judge. I do not who was more shocked; the queens or my mother! Last season they opened the show with Lady Gaga, so it only makes sense that they brought another big name in for the premier. This season they have a wonderful list of celebrity judges including; Shania Twain, Halsey, Courtney Love, Miles Heizer, and more! I always wait in such anticipation to see who the guest judges are and what they will add to the episode. *Spoiler* During the premier the contestants had to complete the first challenge that was in season one. They had to make outfits from items that you would find at the 99-cent store. This challenge takes creativity, uniqueness, and efficiency in order to create a stunning outfit in a short time. It is moments like these where I am reminded of a mix of Project Runway and America’s Next Top Model. I know deep in my soul that even with a hot glue gun in hand I will never be able to make an outfit out of dollar store items. Never, ever. I do not think there is better TV than watching contestants gluing shower curtains and dolls heads together to make an outfit. You know I am right. The shining moment for me though is the lip sync challenge between the bottom two. Watching the queens fight for their life during a two-minute performance in full drag gives me life! You know those moments when you cannot sleep so you end up scrolling through YouTube videos until 1 AM? Well, when I can’t sleep I ru-live previous lip syncs. Here is a link for Bendelacreme VS. Shangela *Spoiler* – Just enough to get you hooked on the performance aspect of the show! The songs that they perform to become embedded in my brain and now every time I hear one, I always picture the performance. Not only am I sitting on the edge of my couch to see who gets sent home, but I am also so invested in the relationships that blossom and grow during the challenges. We get the opportunity to see the girls grow as performers, individuals, and as friends. Well, most of the time friendships are created, but sometimes there can be a little bit of drama between the girls. When you are stuck together for weeks on end with no real access to the outside, it is not very surprising. Fun fact, when they go back to their hotel rooms they are not allowed to leave and in the past tape has been put on the door so producers know if the girls have left their room. I first discovered the show when I was in college, and was a little apprehensive to watch the show at first. I am not a huge fan of reality shows so I was not really interested, but a close friend of mine said that I must give the show a chance. I became hooked immediately and have been an avid fan of the show ever since. The first contestant I ever met was Mimi Imfurst who had me in stitches and stirred a passion within to meet other contestants. 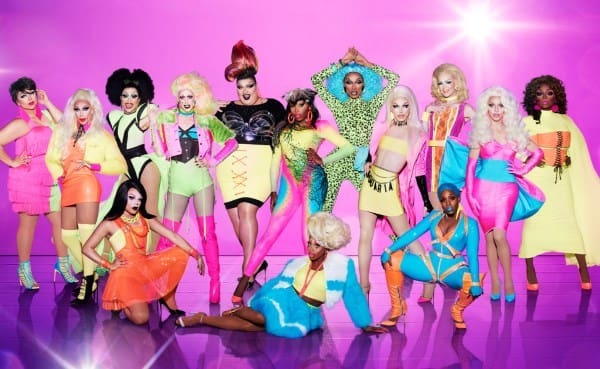 The show has risen in popularity which has led to Rupaul winning an Emmy, the show moving to VH1, and a convention dedicated to drag queens begun in 2015. This show brings people together, and if you have not watched it yet, I highly suggest you do. Next thing you know you will be hooked and attending viewing parties with your favorite queens. One of the unique things about this show is that the contestants travel across the U.S. and people have the opportunity to watch the episode live with a member of the cast. This allows them to give behind the scene details, answer any burning questions, and of course, take pictures with your favorite queen. This is a life-changing experience and they give the crowd scoops that we are all yearning for. You have now made it to the end of my persuasion, and I hope that you take my advice and give this show a chance. You won’t regret it, and if you do, try a different season. ← Broad City Season 4 Is Now on Hulu!